The legend lives on in the Nike Air Force 1 '07, a modern take on the iconic AF-1 that blends classic style and fresh details. The legend lives on in the Nike Air Force 1 &apos;07, a modern take on the iconic AF-1 that blends classic style and fresh details. A leather, textile and synthetic leather upper includes strategically placed overlays for added durability, fit and support. Nike Air technology provides lightweight cushioning. A foam midsole provides cushioning and comfort for your foot. Non-marking rubber in a sleek cupsole design offers durable traction. Debuting in 1982, the AF-1 was the first basketball shoe to house Nike Air, revolutionising the game while rapidly gaining traction around the world. 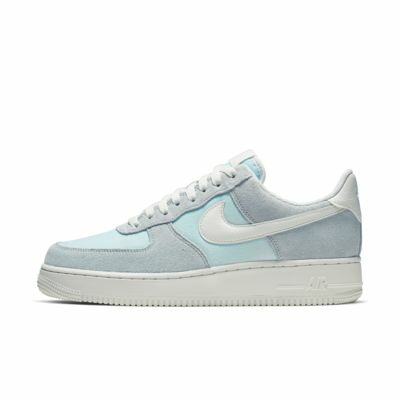 Today, the Air Force 1 stays true to its roots with the same soft and springy cushioning that changed sneaker history. Have your say. Be the first to review the Nike Air Force 1 '07.